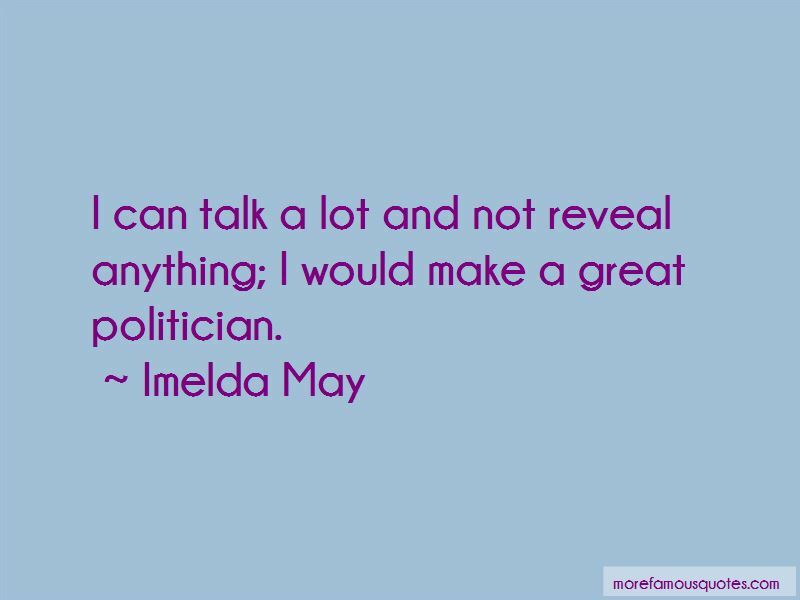 Enjoy the top 85 famous quotes, sayings and quotations by Imelda May. I'm in no hurry to get old. But when I do, I'll be out to enjoy every last minute. I see myself at 90 in some nursing home, waving my walking stick about as I jive to Gene Vincent records. I don't see why women have to get naked to sell an album. It's crazy. I enjoy music so much; it's such a passion in my life, and I hope that comes across. I even sang once at the opening of a supermarket. You name it, I've done it. I had a big time punk-rock phase and psychobilly phase. I used to go mad for the Guana Batz. Music was always part of my life - my mother says I came out singing. I wanted to be Gene Kelly - or Judy Garland. 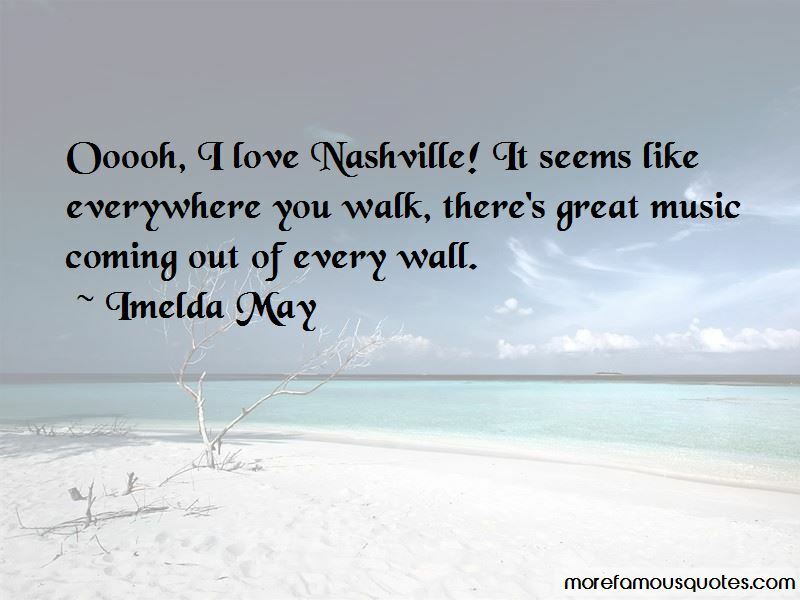 Ooooh, I love Nashville! It seems like everywhere you walk, there's great music coming out of every wall. I couldn't live on the singing at first, so I worked as a cleaner, in a launderette, in a garage, face painting and doing the windows of shops at Christmas, 'cause I had been to art college. I don't think the music that I do is nostalgic in any way; I don't think about going back to nice, old-fashioned music. I'm certainly influenced by old music, but I want to bring it slap-bang up to today. I was brought up with old-fashioned values. I wasn't allowed to have a boyfriend until I finished school. I wasn't allowed to wear make-up: the nuns would scrub your face if they saw it. In 2008, I was in a London park when I came across a fledgling crow that had fallen from the top of an oak tree. A woman happened to be passing, and she said that she rescued animals, so she invited me back to her house. It turned out she was the wife of Jeff Beck. Jeff was there, and we ended up jamming together. My parents never told me to get a real job. They always said, 'Go for it! If this is what you want to do, work hard.' They were always very supportive. The Spanish and the American audiences are lunatics. They are very passionate and, like the Irish, they don't have as many inhibitions. If you are playing somewhere like Austria or Sweden, it takes them a little while to come out of themselves. My music is a mix of everything, mostly my own life. I just write about things that mean something and that I can write about. There's no point in pretending. 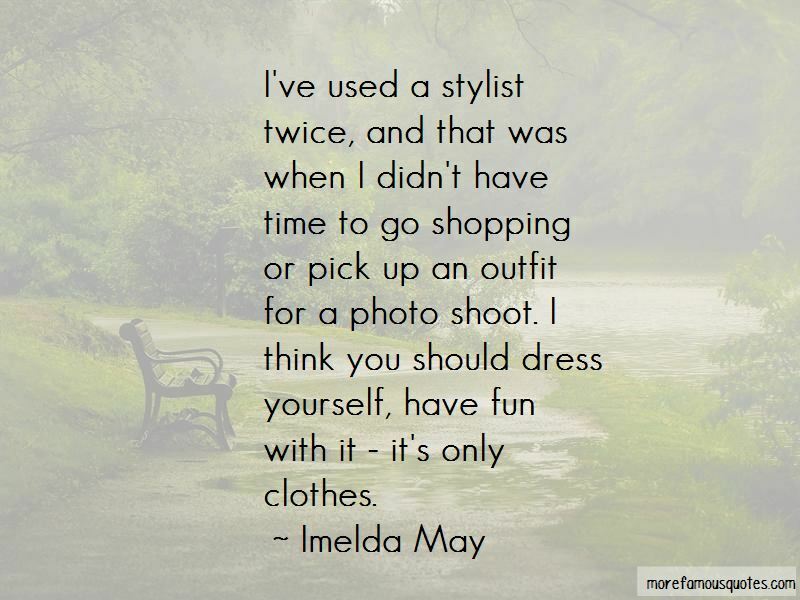 Want to see more pictures of Imelda May quotes? 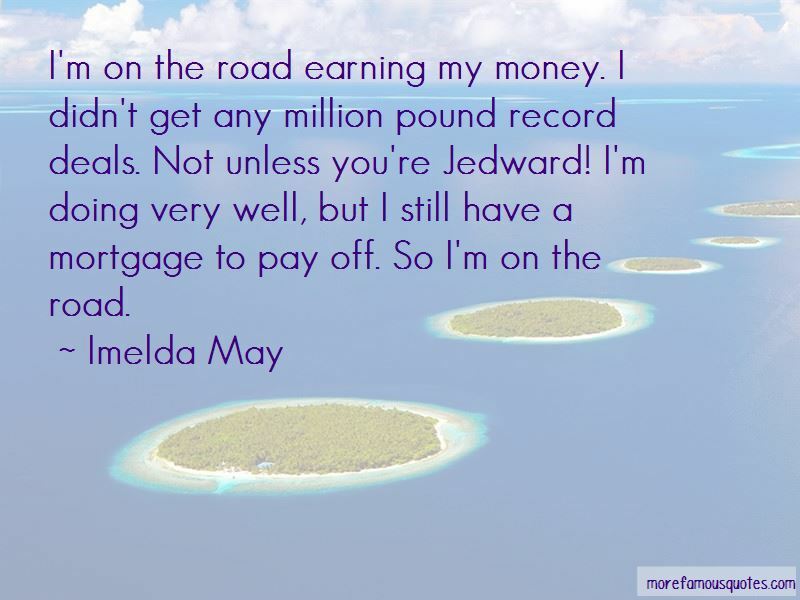 Click on image of Imelda May quotes to view full size.